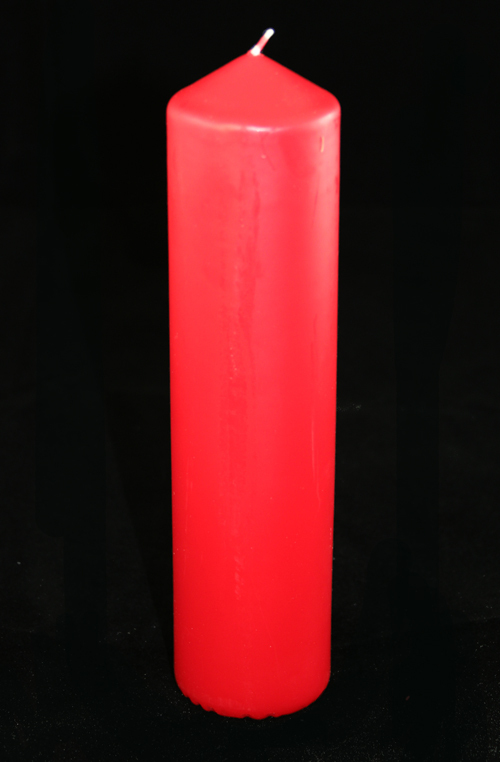 A set of 5 candles, 4 Red (dipped) & 1 White, with a 2" diameter that can be used in holders as well as being free standing. Want to help others refocus on Christ this Christmas? The bright and clear focus for personal, family, school or church Advent devotions. Celebrate the Advent promise every Sunday all the way to Christmas. Let the stillness of each candle's warming glow provide a centrepiece for you to share the Christmas story in a church service, school assembly or with family meals or prayers. Crafted in the fine 160 year tradition of Charles Farris, maker of English church candles by Royal appointment. 4. 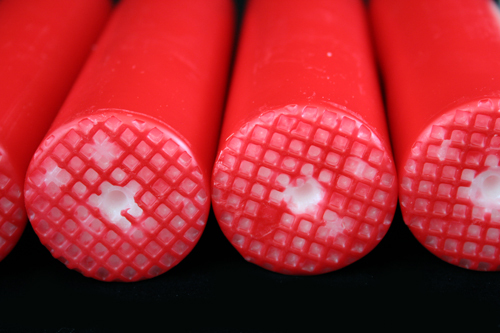 To relight, ensure the wax pool is clear of debris. Don't move the wick from its old shape. 5. Extinguish the candle with a snuffer. Don't damage the wick or the lip of the wax pool. The red candles are dipped. Red and White Advent Candle Set (2" Diameter) is published by Charles Farris and is our 12801st best seller. 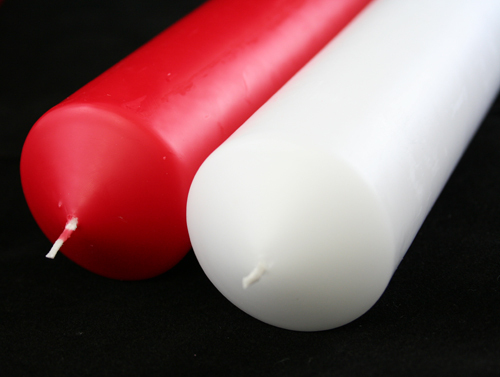 The ISBN for Red and White Advent Candle Set (2" Diameter) is AC-02R. Dipped candles so beware cracking of coloured surface if you use candle holders with ribs to hold candle in place, otherwise perform and last well. These candles are a lovely size and fit nicely with the holders that you can buy separately for them. The only thing I am unsure of is the wick on one of them not sure it’s going to get a full usage! Have bought these each year for the last few years, and always very pleased with them. They burn well and slowly so last very well. Got a question? No problem! Just click here to ask us about Red and White Advent Candle Set (2" Diameter). A:The burn time is approximately 35 hours - although this can vary depending on where the candle is situated. What is the circumference of the candles in the advent candles set? 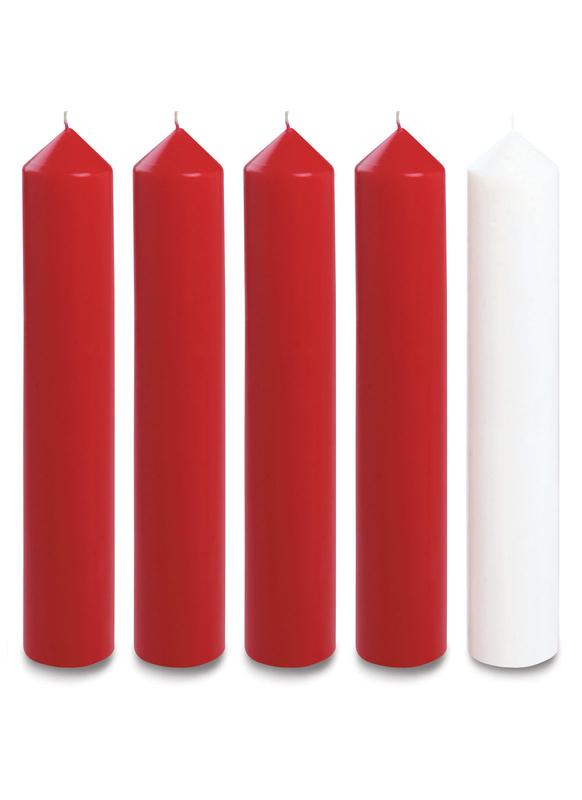 A:The circumference of the candles in this advent candle set is 6.28 inches.